'Psytrance Mantra Vocals' contains essential mantra Psy vocals inspired by some of the best artists in the genre, such as Astrix, Vini Vici, Vertical Mode, Ace Ventura, Astral Projection and more. 2017 and 2018 are the years for Psytrance. During this period so many Psy styled tracks from top artists have been released and not only from big Psytrance names like Astrix, Vini Vici, Ace Ventura but also from EDM heroes like KSHMR and more. Old Psy influence has been mixed with modern genres, but always one of the most recognisable and important things being those hypnotic mantra vocals. 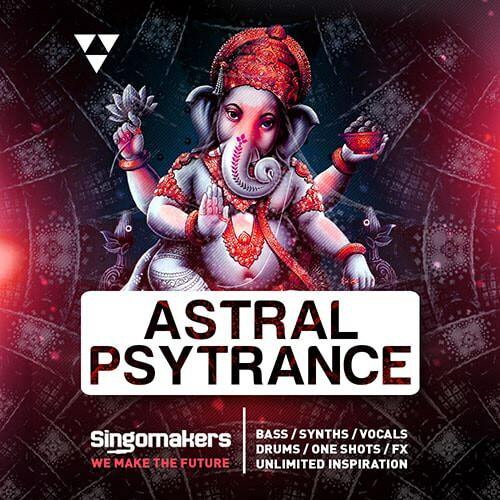 That's why Singomakers are super proud to present this brilliant collection of Psytrance mantra vocals. If you want to hear your tracks in festivals like Ozora, Summer Eclipse, Psycrowdelica Wedding, Solstice, Sunburn, FullMoon, Vuuv Festival, Iono Music Festival then this sample pack is the right one for you. Suitable for production of Psytrance, Full-On, Goa Trance, Progressive Psy Trance, Trance, Progressive Trance, Electronica, Cinematic, Psystep and any other genre with tempo range between 125-150 BPM. Within the promo & discount folder, don't miss discount/promo codes for powerful VST/AU plugins from Singomakers, 'Fatmaker', 'Kick Tweak' and 'Magic Stereo'. Check this amazing demo track and grab your copy of Psytrance Mantra Vocals ASAP.